Please select the appropriate form below, print it out, and complete it prior to your arrival for your first visit. If you would prefer to do this paperwork in the office and not in advance, please arrive at least 20 minutes before your scheduled appointment to allow adequate time to complete this paperwork. When you come to Heritage Health for your first visit, here is what you can expect. A Detailed Review of Your Personal Health History. This gives us the opportunity to speak with you personally about your current condition and discuss any past injuries that might be contributing to your present symptoms. A Comprehensive, Multi-System Examination. During this initial examination, we will use a variety of tests and techniques to help determine the cause of your symptoms and to diagnose your condition. Depending on your symptoms, we will perform tests to measure range of motion, muscle strength, joint flexibility, nerve and spinal cord function, reflexes, sensation, and circulatory function. The examination will also include a hands-on assessment of spinal alignment and muscle tone. The information collected during this initial examination will allow us to diagnose your condition and provide a baseline to measure your progress as your treatment proceeds. Further Diagnostic Testing, Such as X-rays, MRIs, or CAT Scans, May Be Ordered, Depending on Your Age, Condition, and Situation. If you have a complex medical problem, additional testing may be required. Treatment will begin on your first visit, except in cases where treatment is not indicated, and will include the use of the most up-to-date techniques and equipment available. 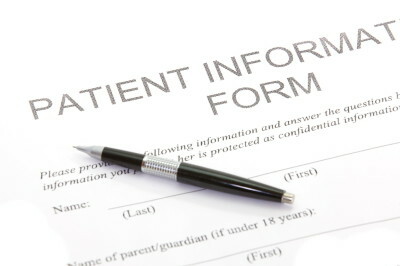 Please feel free to complete the appropriate New Patient Intake Form (see above) prior to your appointment by printing it out and completing it and then bring the completed form with you for your first visit. At Heritage Health, we place the utmost importance in accommodating our patients’ scheduling needs. We maintain office hours 5 days a week, Monday through Friday, with early morning, lunchtime, and evening appointments available. Please call our office at: 303-694-1245 to schedule your appointment. We accept most major insurance at our office, including United HealthCare, Aetna, Cigna, Blue Cross Blue Shield, Humana, Medicare and others. 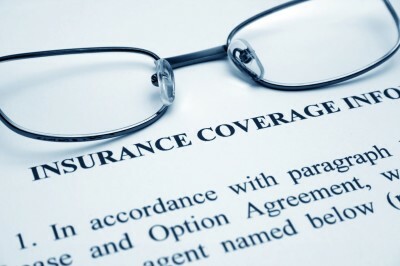 Most insurance plans will cover at least some of the services provided in our office. However, insurance companies may change their policies at their own will and at any time, and the patient is ultimately responsible for any payment due. The patient is responsible for the deductible, co-payment, and/or co-insurance at the time of the visit. Payment plans are available to cover these costs. If you would like to know what your insurance will cover, you can contact our Billing Manager at (303) 694-1245 and she will be happy to contact your insurance company and provide you with the exact details prior to your first visit. For patients without insurance, we offer many affordable payment plan options, including both weekly and monthly installment payment plans. We are dedicated to helping our patients resolve their health issues. Please contact our office at (303) 694-1245 if you have other questions regarding the costs for treatment at our office.